Can anyone help these 2 cuties? Re: Can anyone help these 2 cuties? Could we contact the newspapers, i.e. Barnsley Chronicle and or Rotherham Record to get them to do an appeal on these two ? I am sure there will be someone out there that can help them. Hi, just joined your site. We have dog walked previously and will be coming through Sunday to help with walking. Are the 2 cuties still needing a home? 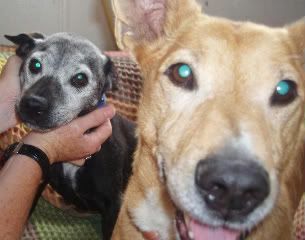 Sandy and Bess are both now in a loving foster home.